Cash Stampede slot is a very different type of 243 way game from Nextgen. 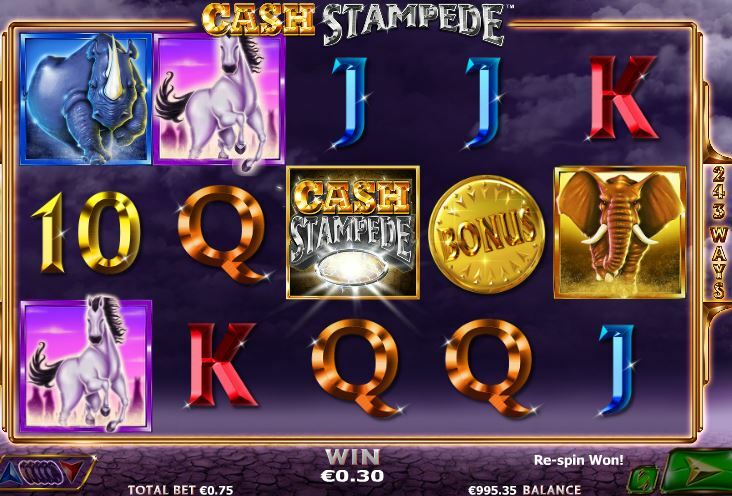 It has various colours of large stampeding animals as the theme and the main feature is one of respins until no further symbols are added. This requires the Wild on reel 3 which is the only reel Wilds can appear on. 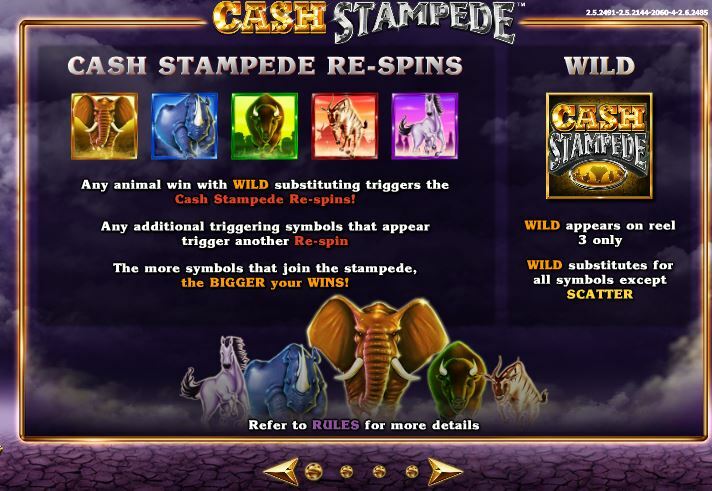 You need matching animal symbols anywhere on reels 1 and 2 with the Wild on 3. 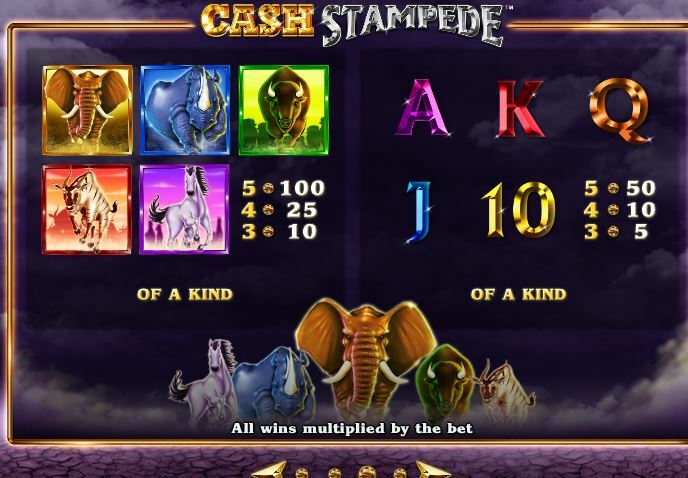 This will trigger respins until no further matching symbols are added to your original win. Ultimately it’s possible to fill the screen up if you are lucky! 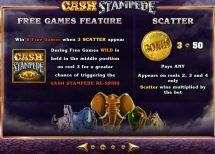 Three Gold Scatters on the centre 3 reels will award 8 free games, retriggerable. During these a Wild is sticky in the centre of reel 3 to make it easier to form a win in order to start the respin feature. RTP is 95.27%.